A confirmation email and invoice will be sent upon receipt of your registration form. Full payment is required no later than 5 business days from the date of invoice. Seats to this course are limited and will be confirmed only once the payment has been received. We reserve the right to cancel registration or refuse admission to the conference if payment has not been received within deadline. Once payment is received, attendee will receive an email notification from the organisers confirming payment and the class registration. The course fee covers access to the class, available training documentation and papers, certificate of attendance, refreshment breaks and lunch only. Travel and accommodation is not included in the registration fee. Delegate is responsible for booking hotel accommodations and arranging appropriate travel authorisations to travel to, and gain entry, into the country where the Event is taking place. Delegate is responsible for all costs associated with obtaining such authorisations. ALL SALES ARE FINAL. NO REFUND SHALL BE GIVEN. Attendee substitution is allowed anytime and must be made in writing to office@austrianbc.ae. You will liable for the FULL cost of your admission to the Event notwithstanding a subsequent cancellation or your failure to attend. Due to unforeseen circumstances, austrianbc.ae reserves the right at any time to change the format, participants, content, location and timing or any other aspect of the event, in each case without liability. Online payments must be conducted not later than 48 hours before the event starts. a) If an event is canceled by the subscriber, only payments made up to 48 hours prior to the scheduled event will be refunded. Any refund consists of the total amount of the payment made, except the costs that have incurred to the organizer due to the cancellation of the participation. b) If the payment shall be refunded, the participant has to announce his claims instantaneously. c) If an event is canceled for reasons that are subject to the sphere of the organizer, the total amount including all charges will be refunded. d)Disbursing entitlements arises only after the booked event ended. e)The participant commits to use any correct data when signing on to the event. Changes, which are important for the ongoing business relationship, have to be notified to the organizer instantaneously or before the next application by the latest. In case the participant indicates deliberately incorrect data, the organizer is entitled to block the participation at the event. In addition, the organizer reserves the right to invoice the additional costs due to unauthorized participation as compensation of damages. In the event that austrianbc.ae cancels an event for any reason, Customer can cancel their order within 24 hours, refunds will be made back to the payment solution used initially by the customer. Please allow for up to 45 days for the refund transfer to be completed. For the avoidance of doubt, Organiser is not liable to you or any third party for any other costs or damages, direct or indirect, consequential, punitive, incidental, special or general resulting from a postponement, cancellation, or termination, including but not limited to travel and accommodation. No costs, including but not limited to travel and accommodation, will be refunded for any reason whatsoever, unless otherwise stated herein. Please note that while speakers and topics were confirmed at the time of publishing, circumstances beyond the control of the organisers may necessitate substitutions, alterations or cancellations of the speakers and/or topics. In participating in this class, you are also acknowledging that photographs and video recordings may be taken, in which you are included and that you consent to the use by austrianbc.ae of any such recording or photography any where in the world for promotional, marketing and other purposes. If you do not wish to be included in any photographs, please put this in writing to office@austrianbc.ae with an identification picture so that we can remove you from photographs. In no circumstances shall we bear liability for any loss, injury or damage to persons or property at the event. We accept no liability for any loss or damage that you may suffer in connection with or arising from the Event whether direct, indirect or consequential (including but not limited to loss of profit, loss of business or any other type of economic loss) or otherwise. 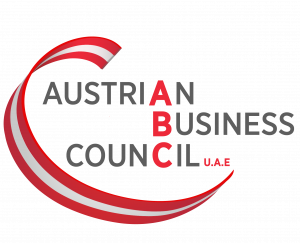 If austrianbc.ae is liable to you for any reason, total liability to you in relation to the event is limited to the amount of the registration fees paid by you to austrianbc.ae.